I don't want to spend a lot of money, my budget is about £40-80. I just want to make sure I get the best bang for my buck. Without spending alot more than &#163;80, you probably wont notice much difference between the various sets out there. What are you using them for? Films, games? What sound card will they be running from? Last edited by s_kinton; 10-08-2007 at 10:50 AM. Dont look for volume look for quality. This is usually best judged using frequency response. The wider the frequency response the fuller and more even the sound will be. The human ear has a response of around 20hz-18Khz (however this obviously varies from person to person) and the best way to judge a speaker (without obviously being able to hear it) is to look at this & the size of the actual drivers. Idealy on each speaker you would hope for one fair sized mid range and one tweeter and then a nice big sub to create the frequencies you can feel. On this budget you might be a little lucky to get all so look for a decent middleground between a tweeter and a mid so you loose as little as possible. http://www.ebuyer.com/UK/product/120641 Philips are much better than a make such as Logitech/Creative! Last edited by Biscuit; 10-08-2007 at 11:06 AM. Dont look for volume look for quality. This is usually best judged using frequency response. The wider the frequency response the fuller and more even the sound will be. I hope your joking about freq range affecting quality, even a cheap pair of &#163;100 speakers probably have a range of 20hz-20khz. Loudness of the speaker is also important as this affects the dynamic range of the speaker. The human ear has a response of around 20hz-18Khz (however this obviously varies from person to person) and the best way to judge a speaker (without obviously being able to hear it) is to look at this & the size of the actual drivers. Idealy on each speaker you would hope for one fair sized mid range and one tweeter and then a nice big sub to create the frequencies you can feel. On this budget you might be a little lucky to get all so look for a decent middleground between a tweeter and a mid so you loose as little as possible. How does size of the speaker actually effect quality ?? 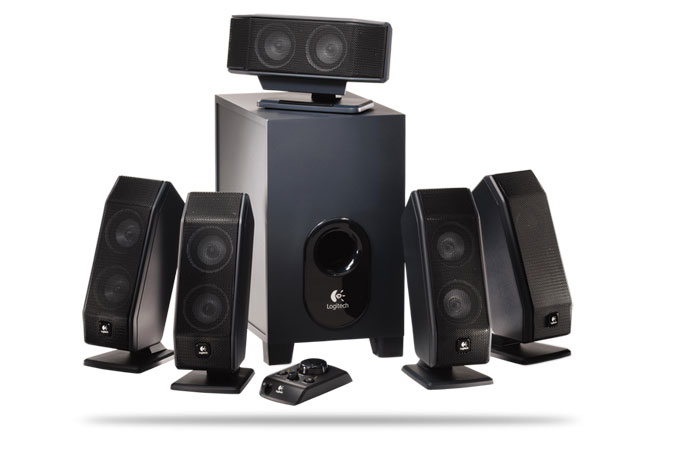 it doesnt, the crossover inside the speakers, and the general build quality/material of the speaker cone are important. The Logitech X-530 are very good value for the money considering what you are actually getting, the bass is abit muddy and can take a while to get the volume right. Last edited by mcmiller; 10-08-2007 at 11:21 AM. However I'd ask what your playing the sound through? no point shelling out on a very expensive speakers and amp if your running it out of onboard sound. Must admit I'm not much of an audiophile like some people and generally don't notice the differnce in sound quality too much unless it's got some really bad distortion or revurb. I'm running off a cheap trust 5.1 set atm and I'm happy with it, it's not going to losen the neighbours teeth fillings or anything, but it's fine for my games, occasional music and dvd. It was about &#163;35-40, but I got it for &#163;25 on a special offer if I remember correctly. I've decided on the logitech, but can't decide between the X-530 or X-540. Last edited by Andaho; 10-08-2007 at 11:30 AM. Decided to go for the X-540 and bought it from pixmania for &#163;45, along with a new monitor, the Samsung 226BW, which with a promo code "Priceuk070801" is only &#163;219. Delivery from pixmania is expensive at &#163;10.80 but buying these 2 products together from there, the total price can't be beaten! Also, is it good to mount them high? or to mount them in the middle of the wall at head height? Last edited by Andaho; 10-08-2007 at 12:12 PM. I hope your joking about freq range affecting quality, even a cheap pair of £100 speakers probably have a range of 20hz-20khz. 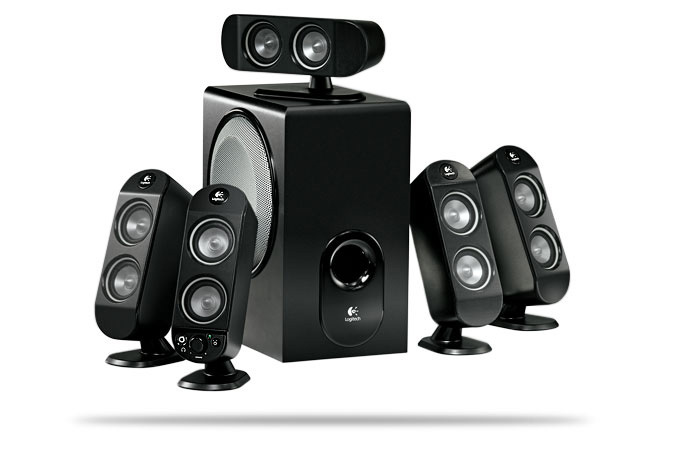 Loudness of the speaker is also important as this affects the dynamic range of the speaker. I dont hink you can honestly preach about quality of crossover and build quality of material, then recomemnd a set of speakers that pick up foriegn radio?! Last edited by mcmiller; 10-08-2007 at 12:27 PM. so from my diagram, is that A or B? Although I'd also move the front left and right out a bit more to the edges of the desk for better left/right seperation. I'd sugest running a few test on the positions before you put the brackets up. Oh the length of the wires isn't important, I have extra wire and a picture rail around the walls to run wires along In saying the left and right should be seperated more, should I put them in the corners of the room too? Also the biggest thing I'm wondering is if it will sound good with the speakers above head height (just below the picture rail) just so it looks neat in the room, or is it really best to have them at sitting-down ear level? Last edited by Andaho; 10-08-2007 at 05:20 PM.